The reserve is supposed to help maintain healthy fish stocks for locals to feed their families and support local fishermen while maintaining ancient Polynesian customs. 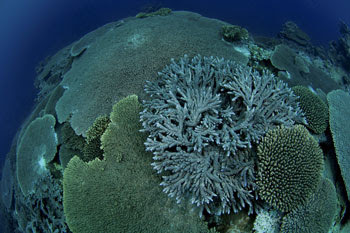 The Austral Islands have one of the healthiest marine ecosystems on the planet, in large part because of the use of traditional conservation techniques. The reserve would be named Rāhui Nui Nō Tuha'a Pae, or "the big rāhui of the Austral Islands," referring to the traditional Polynesian practice of rāhui, which restricts access to an area or resource to conserve it. Currently, the practice of rāhui on Rapa, the largest of the Austral Islands, provides protection only to coastal species. However, the locals would like to increase this to offshore species as well. "In the 1980s, we witnessed overfishing along our coastlines as modern fishing techniques and freezers arrived to our island," said Tuanainai Narii, the mayor of Rapa. "We brought our fish stocks back to healthy levels by reinstating a coastal rāhui. Now we see what is happening in the larger Pacific and recognise that more must be done to conserve pelagic fish stocks, which is why we are calling for this marine reserve as a big rāhui on the open ocean." The islanders identified four main objectives for the proposed reserve: preserving habitats and marine resources for the long term; managing use conflicts among stakeholders; enhancing the cultural heritage of the Austral Islands and developing ecotourism; and raising awareness about the importance of conserving marine resources. In the marine reserve proposal, fishing would still be permitted out to 20 nautical miles around each island, encompassing the area used by local fishermen, who rarely fish beyond this zone.